EGG opened in July 2016 and is located in the historic market town of Tadcaster, just a stones throw from the beautiful river Wharfe. EGG is the perfect spot for families, dog-walkers, or just anyone out for a stroll. Tadcaster needed something different so that's what we've given it with Everything Good Goes. EGG’s interior, designed by the award-winning Composed Design, provides an atmospheric social environment in which to come and enjoy something fun to eat & drink. EGG is Tadcasters coolest haunt for lovers of great drinks, food & music. PIZZA - The perfect addition to any gathering. 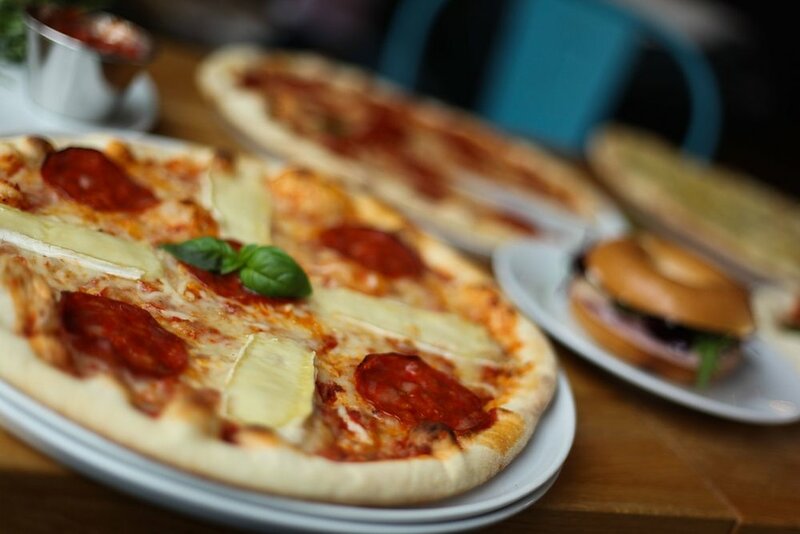 Everything Good Goes is a relaxed & family-friendly pizza bar in Tadcaster. Book a table then swing by, we're easy. Our drinks menu is packed full of world class delights, including everything from your favourite cocktails, wines & champagnes to beers, spirits and more. We pride ourselves on a great selection of craft beers and great gin & tonics. With a choice of different beers from all over the world and a huge range of amazing gins, we think you’ll have plenty to choose from.